Hicham Benohoud was born in 1968 in Marrakech. After obtaining his plastic art baccalaureate, he became an instructor in visual arts. The teaching carreer became irreconcialable with his artistic vocation and, in 2003, he went to Strasbourg to further his art education. In 1998, Hicham exhibited thousands of tiny passport photos, meticulously juxtaposed one to another and stuck to canvas or tacked into a wall. His approach is original and his work is unclassifiable: he is a visual artist as well as a photographer. For "La Salle de Classe", he would ask one of his pupils to interrupt their work at a random moment and pose for him; To do this they had to assume an unorthodox pose and make use of any props that were present in the class room. After posing, the pupil could continue with work. The surrealistic character of the portraits is strenghtened by the fact that, when the photos were being made, the rest of the class had to continue their work. With La Salle de Classe, he wishes to show that one can find new insights that can break through established patterns. 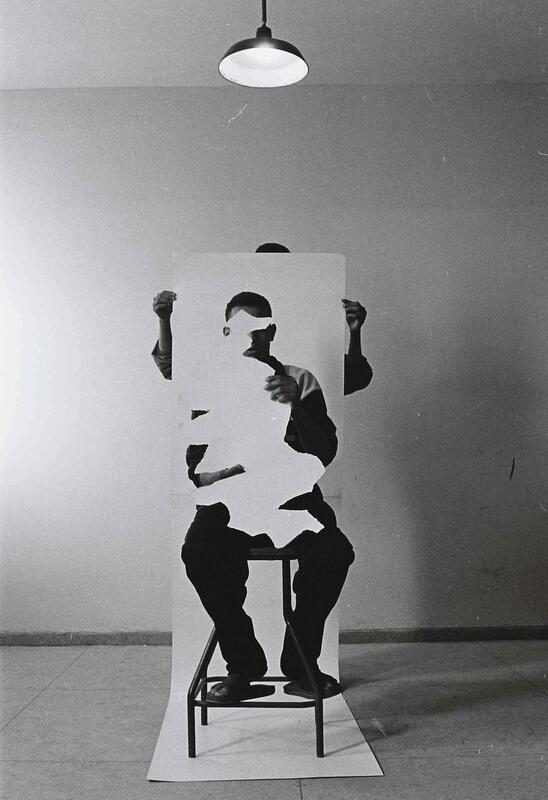 Whether his practises painting, video or contemporary art installation, Hicham Benohoud always questions identity. Starting with his own. Hicham Benohoud helds numerous exhibitions throughout Morocco and abroad. He participated to "Africa Remix", one of the most prestigious international fairs dedicated to contemporary art in Africa. He also took part in 2 major exhibitions: "The contemporary photo in the arab world" in the Aperture Foundation in New York and "Arab contemporary photographers' eye" in the Arab World Institute in Paris. 2 monographs have been published on his art: La Salle de classe (2001) and Des Lycéens par eux mêmes (2002). Hicham Benohoud’s work can be found in the Maison Rouge-Foundation Antoine de Glabert, Paris; the National Fund of Contemporary Art, Paris; the Art lending Library of Nantes; the Chalcography Nationale of the Royal Academy of Fine Arts, Madrid and in the M HKA in Anvers. Hicham Benohoud currently divides his time between Paris and Casablanca.